If you’re seeking the best organic toys for toddlers, then this article is for you. Not only do we share some of the best options for organic toys, like the best wooden play kitchen and the best organic stuffed animals, but we also share some insight as to why you as a parent should always opt for organic toys for your toddler. Why Buy Organic Toys over Conventional? If you have a child at home then you really need to think about the ingredients that are used to make the toys for children and their potential dangers. The dangers associated with plastics will force you to have a re-think about the safety of the majority of the children’s toys. So to provide a safe environment for your child, you must find natural and organic alternatives to the toys for children. Of course, the best plaything for children is the great outdoors and the biggest priority is to build a tree house for the little ones. But sometimes, due to various reasons, outdoor play becomes almost impossible and then you need to rely on the collection of indoor toys. You may not weed all your plastic toys of your child but try to shift to toys that are made of wood, metal or other kinds of natural materials, such as a wooden play kitchen. The Waldorf Dolls are made from wool and cotton using techniques of traditional European doll making. The appearance of the doll is very simple to allow the child play with it and thereby improve his imagination and creativity. The dolls havr no facial expression and the legs and the arms are fully flexible which allows natural postures. 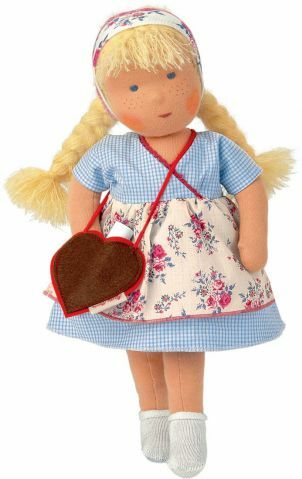 The Waldorf Dolls are handcrafted from fully natural materials and are very soft to hold and hug. The dolls are available in every size and the larger dolls are great for role-playing. 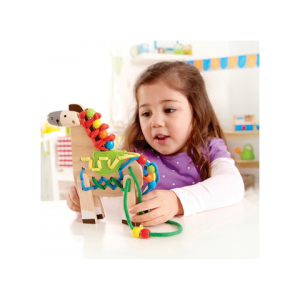 The Hape Lacing Pony is a wooden toy that helps the kids to customize the pony with color. The child is encouraged to name the color of each lace and the count the holes on the pony. This toy helps to develop motor skills in a child, promote hand-eye coordination and promotes dexterity. The products are mainly sold in the US and pass all safety standards. The Cate & Levi stuffed toys line was introduced by an eco-conscious Canadian who had decided to make toys by incorporating reclaimed wool from sweaters and other woollen materials that are no longer used. It is an impressive collection of toys from chickens to stingrays and all has been creatively made in a lovely assortment of colors and patterns. 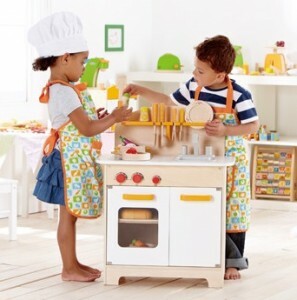 The dual-sided wooden play kitchen set by Glückskäfer offers one of the best options for creative and culinary enthused toddlers. It’s equipped with a stove and oven on one side of the kitchen set and a cabinet and sink on the other. The oven opens-up and offers kids plentiful room for lots of baking, and the stove top is designed to accommodate most kid-sized play cookware. You can find this awesome set and more by exploring the wooden play kitchens at HazelnutKids.com. This is a beautifully crafted wooden train set which comprises of 100 pc. The set comes complete with engines, coaches, a bridge, road signs, trees, figurines and city vehicles. The train set meets all safety standards and certification requirements. The train set, made from beautiful beech wood, is among the most perfect organic toys for toddlers. If you ever wanted a safe musical toy for your little one, then this is it. It contains 6 instruments which can be easily stored in the wooden crate that comes with the set. The toy has been manufactured keeping in mind the skills of a 3 to 7 yr old child. This Melissa & Doug Band in a Box is a very popular toy in US and Asia and is the perfect toy for honing the listening and motor skills of the little member. Although it’s not easy nowadays to find a job through traditional career hunting methods, it’s possible with networking and creativity. According to Dan Schawbel from Forbes, our online presence will replace our resumes in the near future. This calls for career seekers to keep their web presence optimized and presentable in order to increase their odds of getting employed. Here are some useful tips to help you optimize your web presence for more effective job hunting. In addition, you need to stay informed on existing bugs, and have them fixed. If not, they’ll leave you vulnerable to attacks that might expose all your private postings and photos to prospective employers. In short, this is vital for effective web presence management of your personal brand on the Internet. Since a significant number of employers use LinkedIn and other social network sites to search for potential candidates, it only makes sense that you have a public profile. A blocked profile not only gives an impression that you’re hiding something, but also denies you the opportunity to impress recruiters. 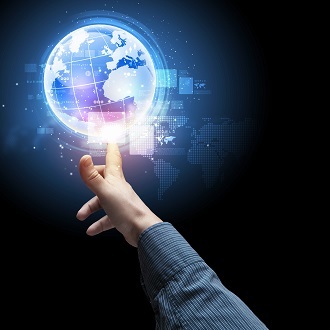 Your bio on social networks plays a great role in attracting recruiters’ attention. Note that your description will vary based on the platform you’re using. For instance, in LinkedIn, your bio should reveal your educational background, experience and expertise, as well as other career accomplishments. Try to write a summary of who you truly are, and what you can offer to potential employers. However, be mindful of the words you use, as recruiters pay special attention to particular keywords and phrases. Make sure the name you use is consistent across all your social network profiles. It makes you appear more professional, besides making it easier for employers to find you. In addition, check to ensure that the information you’ve put on different profiles about your employments, accomplishments, experience, and interests are similar. Once that is done, link together all your social networks. You can do so by creating profile badges for all your social media profiles, then promoting them on your blog or website. Employers want to see your latest job descriptions and other achievements to be able to evaluate your capabilities accurately. So, make a conscious decision to update your profile on a regular basis. Be sure to do so for all your social networks to make the updates consistent. Create a portfolio showcasing your samples of your best work, certifications, volunteer services, speeches and other accomplishments, and put it up on your website on blog. This gives employers a clearer and broader picture of your competence than what your resume may reveal. Don’t forget to include links and attachments to your showcases. Implement these tips to develop a solid web presence strategy for your social media and website properties, and increase your chances of finding your dream job. Natural wooden toys are one of the best options among mainstream toys for growing babies and toddlers. Why, you might ask? F or starters, not only do natural wooden toys host a wealth of benefits for cognitive development and natural learning, but organic and sustainably-harvested wooden toys are safe option that pose no health concern to kids. But that’s just the tip of the iceberg when it comes to the amazing benefits of these simple natural toys made of wood. Below we go into greater detail as to why you might want to consider buying natural and organic toys over popular alternatives. Many parents are drawn to advanced and complex toys that talk, flash bright lights, and quiz our growing toddlers into intelligent human beings. However in many of these types of conventionally-made educational toys, the opposite is actually true. Although flashy and comprehensive toys of the like do promote engagement, they can inhibit natural learning and development that’s derived from creativity, inspiration, and imagination. Natural wooden toys, whether as simple wooden blocks for babies or a more complex wooden kitchen set for growing girls, can foster this type of creative development. Without all the gizmos and gadgets, children are required to use their imagination and think outside the box with limitless possibilities. 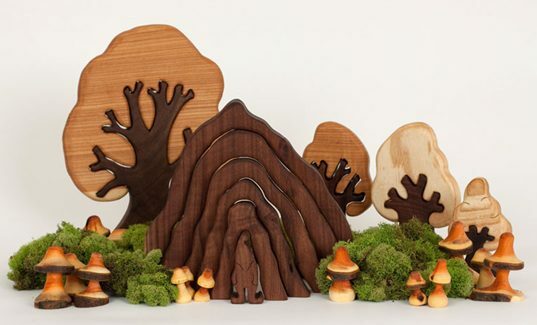 In addition to supporting the healthy growth of your baby or toddler, natural and organic wooden toys are sustainable and good for the environment. Often derived from bamboo and other natural hardwoods, these types of wooden toys for kids are sustainably-harvested, meaning minimal environmental impact. For some parents, this is a very important aspect of buying toys. While natural and organic toys are starting become more popular in big box retail stores, most of these products are found in specialized local boutiques and select online stores. For the latter, many of these online retailers of natural and organic toys give back to the environment via donations and other various green initiatives. And for the former, shopping local and buying from small businesses and specialized boutiques is always a good thing, especially for a local economy. So not only are organic baby toys healthier for growing children, but they help support a green environment as well as a growing economy. 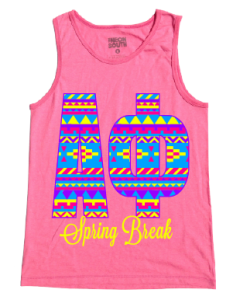 Designing your own custom tank tops is one of the best way that you can show off your creativity and personality. Customized tank tops can be very attractive and unique as they represent your own fashion style. If you have never made your own tank tops, consider designing one today and you will be amazed by how attractive the tank tops will look. While it may take a lot of time and a bit of effort to come up with a perfect custom tank top design, the advantages of wearing branded t-shirts are far beyond any ordinarily fashion styles. If you are planning to come up with your own designs and logos for your custom tank tops, make sure you are passionate enough in what you do and how you come up with decorative ideas. Tank tops ideas can be easily generated by combining different life aspects and the nature of the environment that surrounds you. For good results, consider working smart in your designs plotting, check out pictures from your local fashion magazines and use their designs as an inspiration to make the best custom tank tops. In order to make unique designs, combine different tank tops ideas to make cute patterns and logos that represent your own style. If you don’t want to order custom design tank tops from a local screen printer, consider buying some additional tank top decorating materials that will enable you to design your t-shirt with style. For example, if you would like your t-shirt to glitter and shine, buy different colors of rhinestones and use them to customize your T-shirt. When making logos, make sure you use good branding concepts that will make your logos to stand out and not wear out easily. T-shirt patterns can be cut and sewed with other fabric materials such as velvet and soft leather. If you like to use brightly colored materials, consider buying a dull-cored T-shirt in order for the patterns to be visible. If you are designing custom tank tops for your team or club, consider adding some creativity in your design. A well customized T-shirt looks great and helps a team to stand out from the rest of their groups. You can always win different competitions by simply standing out from the rest of your opponents. If your team or group wears great tank tops T-shirt during a stiff competition, the judges and the crowd might get attracted by your outfits and decide to award you great points because of how great you look. For the best results always design tank tops that represents a particular event and the purpose of hosting that event. If you want to stay unique in all seasons of the year, consider having different custom made tank tops that matches with the weather topography of your area. 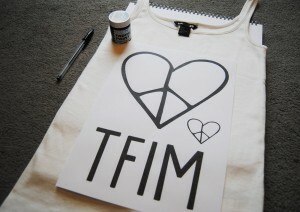 For summer, use light T-shirts to make your own custom tank tops instead of thick fabricated t-shirts. If you would like to stand out in the gym, boost your work-out experience by creating your own personalized tank tops T-shirt. Custom made T-shirts are ideal for all people who would like to stay unique and have their own style.